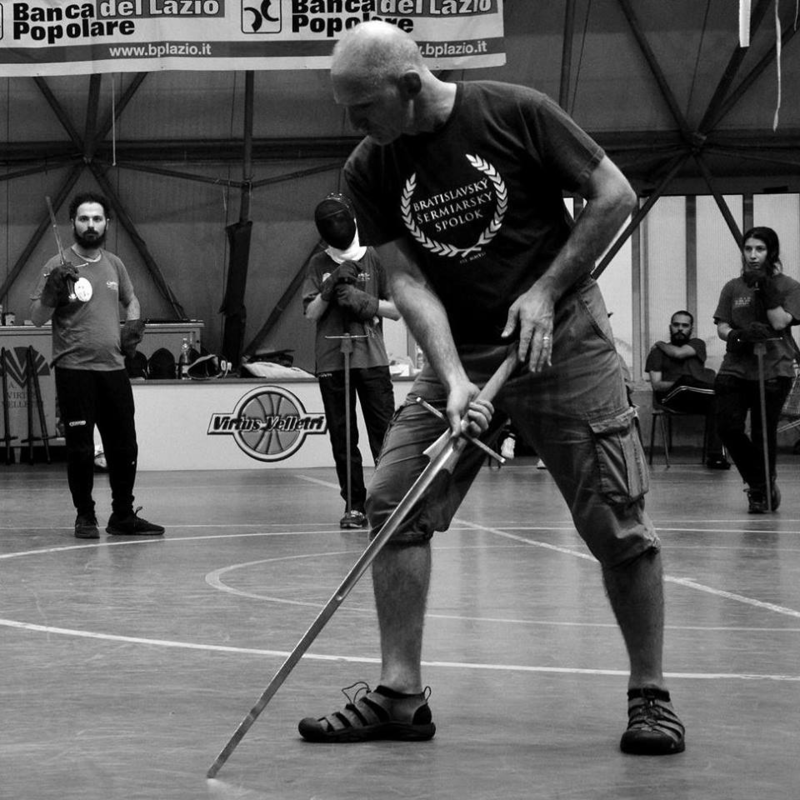 Matt Galas is a senior HEMA instructor and researcher specializing in the traditional martial arts of Medieval and Renaissance Europe. He has studied the history of swordsmanship and the related fighting arts since 1982, with an emphasis on the German martial tradition. In recent years, he has broadened his inquiries to include the French, Iberian, and Belgian martial traditions as well. Matt Galas has a background in sport fencing (foil, epee, sabre) and the Japanese sword arts. He regularly lectures and teaches workshops on the German martial arts at international conferences on the Historical European Martial Arts.